The catchphrases that The Real Housewives of Beverly Hills stars utter as introductory tags are notorious for their being increasingly ludicrous as the seasons pass. RHOBH newcomer Erika Girardi aka Erika Jayne’s slogan is noteworthy for its particular opacity. As she whirls around, this songstress declares that she is “an enigma, wrapped in a riddle — and cash!” Though this is practically inscrutable, allow me to translate: Girlfriend is loaded, and although a lot of her dollars come from her work as a musician, she's also (in the immortal words of Fetty Wap) married to the money. Husband Thomas Girardi’s net worth is estimated to be in the millions. Based on sheer deduction that they are being featured on the one percent-er vehicle that is the Real Housewives franchise, Thomas and Erika Girardi are obviously rich — but just how wealthy are we talking? Erika Jayne's career as a dance-music maven has netted her an estimated $10 million over the course of nine years, according to The Heavy. As you know, that's a lotta dough, but is it enough to sustain the lifestyle she maintains? 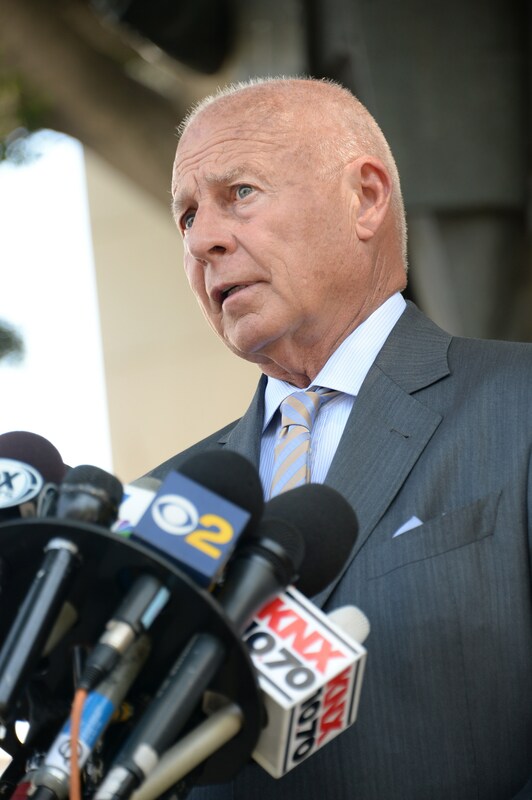 It turns out that hubby Thomas Girardi is a pretty famous lawyer that is sitting on a pretty penny from the multitudes of class-action lawsuits he has won over the course of his nearly 50-year career. In order to guesstimate his net worth correctly, let's take a look at some of the contributing factors to his financial history. And, as a partner in a law firm, he'd be making a lot of money. According to data culled from Payscale.com, the median annual earnings of a law-firm partner are approximately $166,892 per year. Though his name might not be as household as say, Robert Kardashian's, Girardi is well-respected in the world of law. In fact, you may have heard of him before: He is famous for procuring the $333-million settlement in the groundwater contamination case that was made famous by the movie, Erin Brockovich. Girardi didn't stop there, however. According to this feature by the National Law Journal, Girardi went on to win multi-million and billion dollar cases on the behalf of California consumers and residents. According to Variety, producer Ryan Kavanaugh paid $7 million for a house Girardi owned in the La Costa Beach region in Malibu, California. The ocean front pad was 2,800-square feet, and boasted four bedrooms and two bathrooms. In the National Law Journal article, when asked if he and Erika lived in Beverly Hills, Girardi stated, "I'm not saying we do, and I'm not saying we don't." I'm just going to throw a wild guess out there and say, with the title of the show being what it is, it's safe to postulate that the two of them live within — or close to — the confines of the ritzy L.A. zip code. The website InfluenceExplorer.com estimates that Girardi has allegedly given approximately $1,717,403 to the political party between the years of 1989 to 2014. Girardi has a good habit of giving back to the community. In 2004, The Los Angeles Daily Journal spotlighted Girardi for his generous $1 million donation to Loyola High School. That's the kind of spending I think we'd all like to see more of! Though this is just a guess, I think that we can presume that, due to decades of hard work, Girardi's net worth is definitely in the high millions, which, combined with his wife's own earnings, makes the Girardis a bonafide power couple. Keep on, keepin' on, Girardis.